from NEEDLECRAFT COTTAGE IN THE SMOKIES ONLINE STORE. If you are looking for old patterns, this is the place to look. You will see your favorite designers at the NeedleCraft Cottage Online Store. Many of these patterns are now out of print, so this is your chance to get the patterns you wanted but passed up, then regretted not buying them. On this website also are many of the specialty threads called for in the new patterns. You will see Caron threads, precensia, DMC special threads, including perle cotton in sizes of 3, 5, 8, and 12 and more. Fabric, beads, supplies and patterns for needlepoint, crochet, knitting, and tatting are also available. In addition, you will see supplies for other special types of needlework. The greatness about Needlecraft Cottage Online is that almost all the merchandise is drastically REDUCED. and there is only one shipping charge, regardless of your purchase. The local landmark kits and patterns made by Smoky Mountain Distributors are sold exclusively by NeedleCraft Cottage and will continue to be sold on the website. 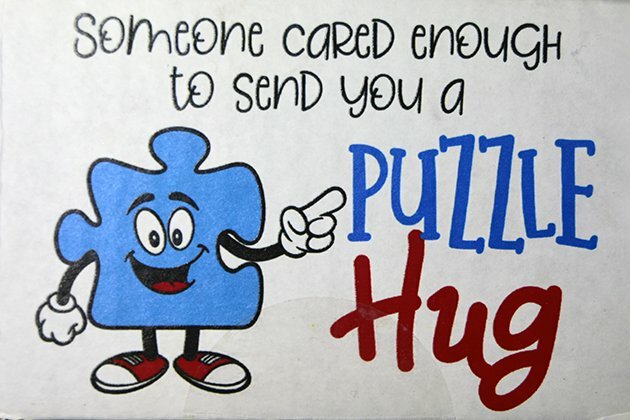 I live in Townsend now, so if you are in the area and need to pick up something, just send me an email, and we will make arrangements for you to pick them up in Pigeon Forge or Townsend. Most items are now being sold at mark-down prices. If you are interested in buying in bulk, just email me and we will make a deal. I have a lot of the specialty threads and DMC tapestry wool 42-yard skeins and the 8.8 yd skeins. I am currently listing my selection on the "Needlework on Sale" page, so click on that page and make your buy. Do you need needles? Then look at my latest listing of needles. Tapestry, Quilting, Chenille, and many more kinds of needles. All are drastically reduced in price. Get yours while they last. If you are a person who loves to stitch iron-on designs, be sure to look at my selection of Aunt Martha's Hot Iron On Transfers. All packets are marked down from $1.79 to .99. You can't get them any cheaper anywhere else. Click on Transfers. Newest listings are buttons and beads. You will find buttons and beads from Mill Hill, Just Another Button Co., Debbie Mumm, JHB International and other companies. Many are handcrafted and marked below the suggested retail price. I have several of the DMC embroidery floss boxes left. Some of the boxes are antique, being over 50 years old and some are newer. 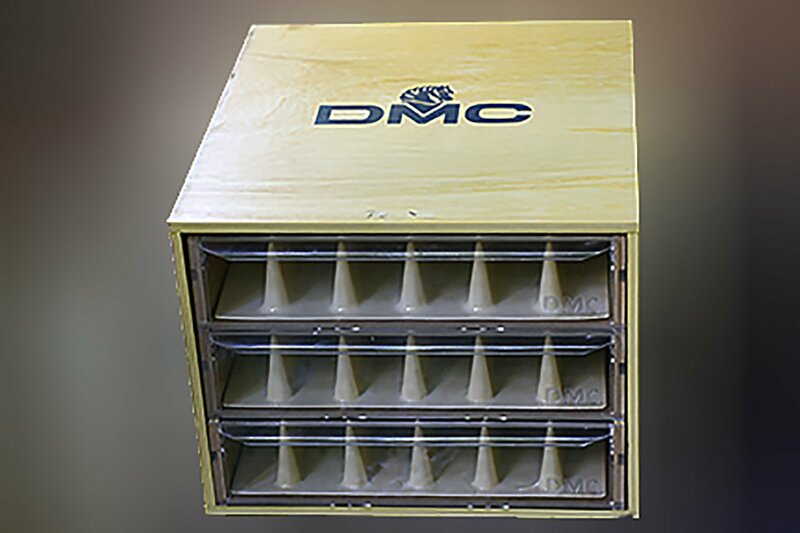 The antique boxes have the DMC logo on them, and the newer ones are plain except for the logo on the drawers. The cabinets are in excellent condition. There may be a few scratches on the logo, but generally they are in perfect condition. and well worth the price. The price quoted here includes shipping, but if you should be in the Gatlinburg area, I will meet you someplace with the cabinet, and you can save the price of shipping.